Hawkins established the Creek Agency and his plantation near present-day Roberta, Georgia, in what became Crawford County. He learned the Muscogee language, and had a Creek woman, Lavinia Downs, as common-law wife, who, in the Creek's matrilineal society, provided an entry into that world. He had seven children with her, although he resisted Creek pressure to marry her:9 until near the end of his life. He wrote extensively about the Creek and other Southeast tribes: the Choctaw, Cherokee and Chickasaw. He eventually built a large complex using African slave labor, including mills, and raised a considerable quantity of livestock in cattle and hogs. Hawkins was born to Philemon and Delia Martin Hawkins on August 15, 1754, the third of four sons. The family farmed and operated a plantation in what was then Granville County, North Carolina, but is now Warren County. He attended the county schools, then at the College of New Jersey (later to become Princeton University). He was "apt at multiple languages", a linguistic competence that would later enable him to learn Indian languages. When the College (which he never completed) closed because of the approach of British troops, Hawkins was commissioned a Colonel and served for several years on George Washington's staff as his main interpreter of French. Hawkins was released from federal service late in 1777, as Washington learned to rely on Lafayette for dealing with the French. He returned home, where he was elected to the North Carolina House of Representatives in 1778. He served there until 1779, and again in 1784. The Carolina Assembly sent him to the Continental Congress as their delegate from 1781 to 1783, and again in 1787. In 1789, Hawkins was a delegate to the North Carolina convention that ratified the United States Constitution. He was elected to the first U.S. Senate, where he served from 1789 to 1795. Although the Senate did not have organized political parties at the time, Hawkins' views aligned with different groups. Early in his Senate career, he was counted in the ranks of those senators viewed as pro-Administration, but by the third congress, he generally sided with senators of the Republican or Anti-Administration Party. 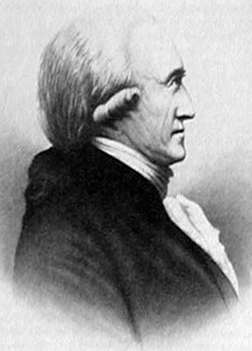 In 1785, Hawkins had served as a representative for the Congress in negotiations over land with the Creek Indians of the Southeast. He was generally successful, and convinced the tribe to lessen their raids for several years, although he could not conclude a formal treaty. The Creek wanted to deal with the 'head man'. They finally signed the Treaty of New York (1790) after Hawkins convinced George Washington to become involved. In 1786, Hawkins and fellow Indian agents Andrew Pickens and Joseph Martin concluded a treaty with the Choctaw nation at Seneca Old Town, today's Hopewell, South Carolina. They set out the boundaries for the Choctaw lands as well as provisions for relations between the tribe and the U.S. government. In 1789, conditions among the Creeks seemed to indicate an urgency for his return to the Creek country. Accordingly, he left Tennessee early in September for Fort Wilkinson on the Oconee River in Georgia. The next few months were spent with the Creeks. January 1, 1789, was set as the date for the assembling of the commissioners for running the Creek line in conformity to the treaties at New York and Coleraine. Hawkins had some difficulty in persuading the Creeks to agree to the running of the line, as many of the younger warriors were opposed. On February 16 Hawkins reported to Secretary of War, James McHenry that the line had been run from the Tugalo River over Currahee Mountain to the main south branch of the Oconee River. Though about sixteen families of Georgians were found on the Creek lands in the area known as Wofford's Settlement, McHenry was told "...I am happy in being able to assure you that there was no diversity of opinion among us, and that the line was closed in perfect harmony." This line became known as the Hawkins Line. During the Creek War of 1813-1814, Hawkins organized "friendly" Creek Indians under the command of chief William McIntosh to aid Georgia and Tennessee militias in their forays against the traditionalist Red Sticks. General Andrew Jackson led the defeat of the Red Sticks at the Battle of Horseshoe Bend, in present-day Alabama. Hawkins was unable to attend negotiations of the Treaty of Fort Jackson in August 1814, which required the Creeks to cede most of their territory and give up their way of life. Hawkins later organized "friendly" Creek warriors to oppose a British force on the Apalachicola River that threatened to rally the scattered Red Sticks and reignite the war on the Georgia frontier. After the British withdrew in 1815, Hawkins was organizing another force when he died of a sudden illness on June 6, 1816. Hawkins tried more than once to resign his post and return from the Georgia frontier, but no President would accept his resignation. (Dale Cox says that President Monroe accepted his resignation,:89 but Hawkins died before Monroe became President.) He remained Superintendent until his death. Near the end of his life, he formally married Lavinia Downs in a European-American ceremony, making their children legitimate in United States society. They already belonged to Downs' clan among the Creek, who had a matrilineal kinship system. The children gained status from their mother's clan and people, and their mother's eldest brother was usually more important in their lives than their biological father. The archeological site of the original Fort Benjamin Hawkins is listed on the National Register of Historic Places (NRHP), and it is within the Fort Hill Historic District of Macon, Georgia, also listed on the NRHP. ^ Heidler, David S.; Heidler, Jeanne T. (2003). Old Hickory's War. Andrew Jackson and the Quest for Empire (revised ed.). Stackpole Books. ISBN 0807128678. ^ a b "Benjamin Hawkins". Encyclopedia of Georgia. Retrieved June 12, 2018. ^ "Hawkins Line". GeorgiaInfo: an Online Georgia Almanac. Retrieved May 14, 2016. ^ a b Cox, Dale (2015). Nicolls' outpost : a War of 1812 fort at Chattahoochee, Florida. Old Kitchen Books. ISBN 9780692379363. ^ Ethridge, Robbie. "Benjamin Hawkins (1754-1816)". New Georgia Encyclopedia. Retrieved May 14, 2016. ^ "The Milledgeville Statesman". The Milledgeville Statesman. March 31, 1828. ^ "Hawkinsville". New Georgia Encyclopedia. Georgia Humanities Council. Retrieved October 20, 2012. "[Letter], 1800 Nov. 9, Fort Wilkinson, [Georgia to] Colo[nel] David Henly [i.e., Henley ? ], Knoxville / Benjamin Hawkins". Southeastern Native American Documents, 1730-1842. Digital Library of Georgia. Retrieved 13 February 2018. "[Letter], 1802 Mar. 21, Tookaubatchee, [Creek Nation to] Mr. Joseph Clay, Savannah, [Georgia] / Benjamin Hawkins". Southeastern Native American Documents, 1730-1842. Digital Library of Georgia. Retrieved 13 February 2018. Wikimedia Commons has media related to Benjamin Hawkins.